Summer is the most favorite season among both children and adults, right? Blossoming flowers are always surrounded by the fluttering colorful butterflies! 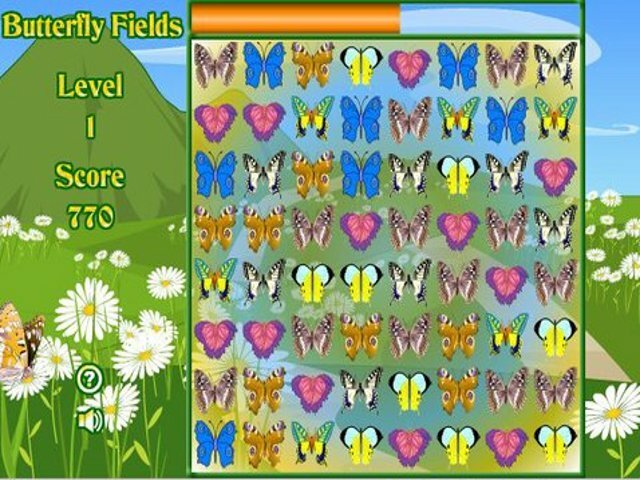 Plunge into the atmosphere of hot and sunny summer playing our newest online game Butterfly Fields! This Match-3 game will carry you away from the stuffy rooms to the spacious sweet-smelling meadows! You will like the brilliant graphics of this seemingly simple game. Just find three or more the same butterflies and make chains by dragging them. Get many points and much pleasure! 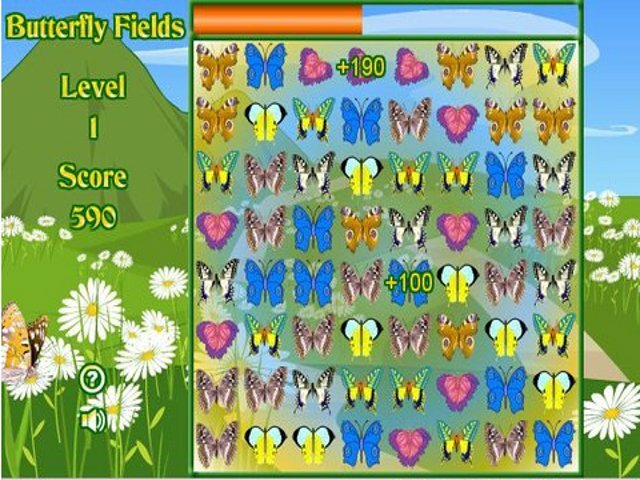 Play Butterfly Fields online to keep the summer memories for a long time! 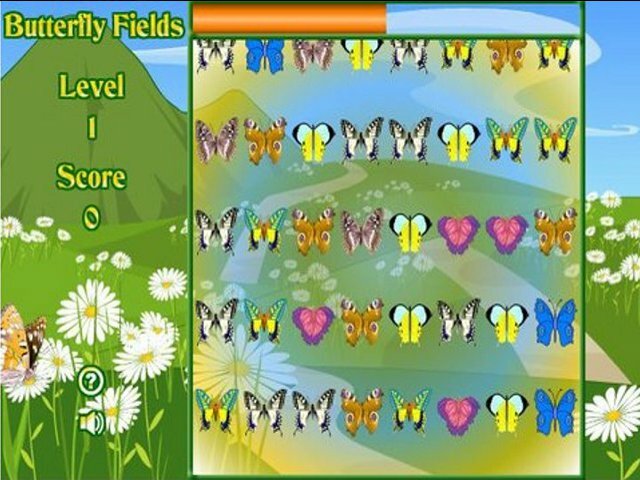 Title - Butterfly Fields Online Game Description - Get delighted with Butterfly Fields, a Puzzle game offered by Fupa Games. Have a rest on the summer field enjoying the beauty of butterflies!